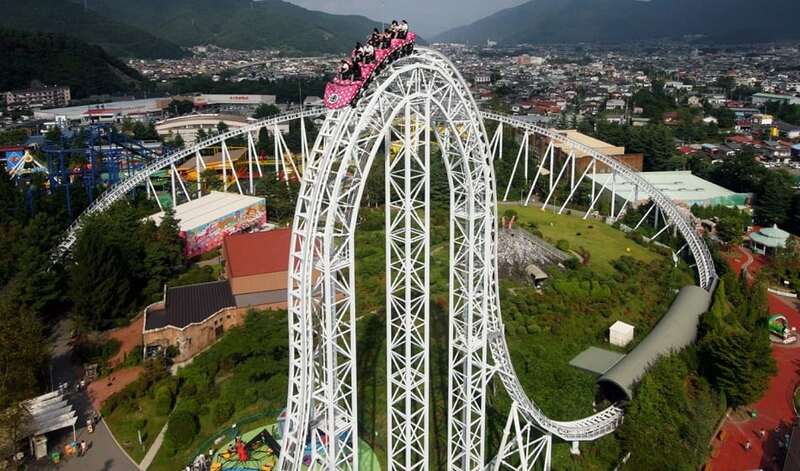 Using a compressed air launch, Dodonpa goes from 0 to 107 mph in just under two seconds. It races up and down a 170-foot top hat tower at 90 degrees. While the whole ride lasts 55 seconds it feels like a lot longer when you are riding through the track watching your life flash before your eyes.